Publish the default WordPress search widget to the ‘search’ position. This position was only designed for search modules, not content. Publish any menu widget to the main body sidebar positions on your site. 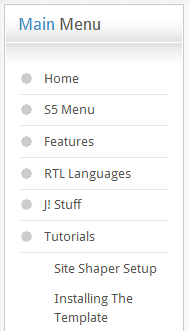 You may assign any of this theme’s module styles. Publish any menu to the ‘Top Menu’ position. DO NOT give the widget a title. Publish any menu to the ‘Bottom Menu’ position.